Welcome to Franchising 101 with Anna. In honor of back-to-school time, let’s do a quick and fun review of the fundamentals of franchises. How would you grade the following statements … true or false? I can be creative in a franchise business. I need to be passionate about the product or service my business sells. I will know which franchise is best for me when I see it. I won’t have any independence with a franchise. I can have a full-time job and own a franchise on the side. False! Yes – FALSE! Passion does fuel success yet be careful about where your passion rests. Successful franchisees are passionate about having flexibility, being in control of their future, and achieving financial freedom. A winning franchise is one that utilizes your skills and talents. You can love golf but if you can’t manage people or sell club memberships, your dreams remain dreams. False! First, people don’t know what they don’t know about franchises. What appears to be a great deal may be a terrible nightmare if you don’t know what you are doing. Second, preconceived notions trip people up ALL THE TIME. Quite frequently, they blind people to great opportunities or lead them straight to insatiable money pits. False! You don’t have a boss telling you what to do: you are the boss! You decide your own personal hours and days off, you decide who to hire, who to fire, you set your own business and financial goals and so on. You are in business for yourself but not by yourself. True! While most franchises require the owner to be actively involved in the business on a daily basis, semi-absentee franchises do not. That business model involves hiring a strong manager and holding that person accountable. What surprised you the most? To discuss your results or to explore franchising a bit more with me, simply reply to this email. We’ll chat casually over the phone and learn from each other. Like all teachers, I learn the most from you, my “students.” I’d love to hear from you and learn what you are seeing and thinking about franchises. I am proud of my affiliation with FranChoice, the industry’s leading franchise advisory firm. It is composed of the most knowledgeable, experienced advisors in North America. We are dedicated professionals devoted to helping people realize their dreams through business ownership. The week after July 4th, FranChoice holds its Summer Conference. It is an highly anticipated, invitation-only event filled with exciting new brands, industry insiders, franchise funding companies plus continuing professional education for all. We are in a vibrant economy with more people wondering how to get out of their job and into a business. The industry continues to innovate and help people achieve the goal of business ownership by continuing to bolster world class onboarding and training systems and remaining eagle-eye focused on improving unit economics through technology advancements. The ability to own a business while still employed has more choices than ever, and they do not always require brick and mortar. It is stunning to see how fast this is growing. Dull and boring business opportunities backed by technology can be some of the best long-term business plans. You have to find the best recurring revenue model or have the best marketing plan that drives results. Just because you think a market is saturated in a category does not mean there is no room for more. In fact, it represents a proven market. Buying an innovative brand can be disruptive yet very profitable. Along with this fact, the franchising model will bring a competitive advantage. Funding the business has more choices than ever, whether it be from the franchisor or the great companies that can put together the right strategy for you. It is incredible to see the efforts taken to help my candidates live their dream. At FranChoice, we have talented people who are focused on doing the right thing. All of our people are experts in their fields – whether they be fellow advisors or quality franchisors or funding companies. All have the mindset of doing the right thing for the franchise candidate. This select network of subject matter experts is defined by quality results, or in other words, happy franchisees making money and living the life of their dreams. The intensity and effort that goes into making the right business fit is exceptional. If you really want to be in a franchise business, get the right adviser. It is definitely one of the biggest decisions you will make. When you are ready to make a change for the better, I'm here to answer your questions. Are you kidding me? It is this simple to run a business? It really can be plug and play. I would not want to compete against these franchisors because they have too much technology in marketing and back-end systems management. Truly world class! This is a brief review of what I absorbed, and to discuss the take-aways one-on-one, call me directly at (706) 736-0579.The opportunities and the upside just get better and better. Do you you have what it takes to own a franchise? Is the weather heating up in your part of the country? The sun rises early and goes down late. Is fishing in a mountain stream or warm sand between your toes in your summer plans? Meet Tom. Tom’s kids recently finished the school year, and the family is packing for their vacation. They’re looking forward to days with no schedule, no set bedtime, and eating ice cream as they watch the sun set. Tom has a strong team of employees and a solid manager in place, so he has no doubt that his business will run as usual even while he is away. He doesn’t anticipate any frantic phone calls. He has faith in the people he hired, the franchisor’s support team, and the systems that are in place. Meet Joe. Joe cut his vacation short because he recently changed jobs and doesn’t have enough vacation time to cover a full trip with his family. He flies home alone while the rest of the family enjoys a few more days in the mountains. The mountain air was good for him, but he now dreads the mounds of work that have piled up in the short three days that he was gone. Back to the grind he goes. Both are very real situations. Which one do you relate to? I’ve met many Joes and Josephines during my career in franchise advising. For these people, summer is not a time of laughter and cutting out early to get to the lake. It’s just means three more months of work. One of the biggest reasons why someone gets into franchising is for a desired lifestyle. Let’s be honest; most positions in the corporate world do not offer a healthy work/life balance. If you are a Joe or a Josephine, I would love to get to know you and connect you with franchises that provide the family friendly lifestyle you want. Veteran's Day is in a couple weeks, and I hope you'll take some time this month to let the veterans in your life know how much they are appreciated. When it comes to getting out of the service, I know firsthand it can be tough for veterans to transition to civilian life. I experienced overwhelming confusion and doubt as I transitioned from the USAF during the Persian Gulf era to the civilian arena. There were enormous decisions to make like where in the world to live and start a new civilian career? And what civilian career would that be? What did I want to do with the rest of my life? Many veterans have the same uncomfortable feelings and benefit from sound career advice tailored to them. What do you think about the following recommendation? In general veterans possess transferable skills which are highly sought after by franchises. Understanding the value of a team, the importance of service, and the ability to carry on until the job is done puts veterans and separating service members in a position of strength when it comes to being awarded a franchise. Military skills, experience and training translate well to entrepreneurship. When it comes to franchise business ownership, it is my honor to serve as a resource to the men and women who did or who do wear an Armed Services uniform. I work with many franchises that offer a discounted franchise fee to U.S. veterans. I would love to educate you about what's available and connect you with the business that is right for you. To get started, schedule a chat HERE. In case you didn't know, my services are complimentary to all - veterans and civilians alike. Changing colors. Changing wardrobe. Changing beverage choices (pumpkin spice latte anyone?). October is here, and it’s a season of change. Perhaps you need more change in your life. You dream of spending more time with your family. You dream of being able to eat lunch at school with your child on a regular basis. You dream of painting that blank canvas that has been collecting dust in your office for oh so long, or finally reading those books stacked next to your bed or spending more time on that hobby you never seem to have enough time for. You dream of independence, a flexible work schedule and the opportunity to reap more of the financial benefits your work creates for your employer. Perhaps you need a change in your career. The grind of an unhappy job is wearing on you, yet the thought of spending hours on your computer sending your resume out is uninspiring. This is especially discouraging when no one even responds. Will a new job really help? It still has you making money for someone else. You don’t need to get another job only to discover it’s the same “office politics” and bureaucratic inertia as before. What about missing your child’s game – again – because you’re expected to work long hours on the new project dumped on your desk? Your hard work gets no recognition for all of the “extras” you do and the sacrifices you make. You want to get away from not being able to fully engage in your family/leisure time because you’re stressed by an over demanding job. Change is hard for most people. With guidance and know how, a career change from employee to entrepreneur doesn’t have to be so daunting. With a franchise advisor by your side, you’ll learn the ins and outs of transitioning from having a boss to being the boss with a business of your own. Yes, owning a franchise requires some change. Are you ready for a change for the better? The first place to start is changing your mindset from employee to business owner. When you do that – you’re 90% of the way there. For help with the remaining 10% is why I’m here. Grab your fall beverage, take a seat, and let’s discuss what change looks like for you. Schedule a chat HERE. Last week my children's school made a big deal out of Groundhog Day. In the movie Groundhog Day, Phil, played by Bill Murray, gets stuck in an ever repeating loop. Each day he awakens to Sonny and Cher singing "I've got you babe" on the local radio. Online speculation about the movie has Phil stuck in this loop for anywhere from 10 years to 10,000 years. He finally breaks the chain when he learns how to add value into other people's lives and can see the bigger purpose in life. 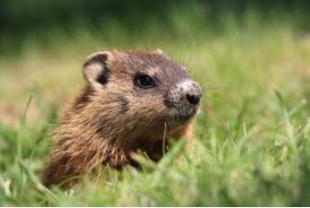 Are you stuck in a Groundhog Day scenario? Do you wake up each morning, head out to your car for the hour long, traffic- filled ride to work, walk into a building that houses someone else's dream, only to feel like you are in a spinning hamster (or groundhog) wheel, working hard and getting nowhere? Or do you work from home, content with your commute, but wish you could take time off to attend your son's school play during the day, or take off early on Friday for that Valentine's weekend in the mountains, without feeling like you are being deceitful? Are you tired of feeling like you are capable of earning so much more money, but knowing that your next raise will be limited to 2% of what you make now? Maybe it is time to get out of the Groundhog Day loop. Maybe it is time to add value to your life by controlling your own destiny through business ownership. Maybe it is time to have a bigger purpose. Franchise ownership is a great way to make that step out of your comfort zone, because it gives you the opportunity to be a business owner, but still have guidance towards success. There are home-based franchises, multi-unit retail franchises, and Area Development opportunities in every industry imaginable! Give me a call, and we can spend some time discussing your particular goals, and get you out of that Groundhog Day loop today! As many of you know, I served on active duty in the US Air Force for five years during the Desert Shield/Desert Storm era. It was a proud time of service. Thank you to all my fellow veterans and their families. As a franchise consultant, I especially enjoy working with veterans to become successful business owners. Do you know a veteran or someone about to be discharged from military service? Many are wondering what their next career opportunity will be. Did you know that many veterans are now entrepreneurs thanks to the myriad of options in the world of franchising? Franchising provides the opportunity to become your own boss and put into action the skills honed during a military career. Franchise companies that embrace the VetFran program offer special incentives specific to veterans and their spouses. It can range from a percentage to thousands of dollars off the franchise fee. One Sergeant Major I worked with received $10,000 off the franchise fee! This is a huge benefit when you are just starting out in a new business venture. The reality of having your own franchise business could be a lot closer than you think. If you are a veteran looking for your next career, call me at (706) 736-0579. We'll talk about your skills and interests. We'll match you to outstanding franchise businesses that are the right fit for you on a personal, professional and financial basis. If you are not a veteran but you know someone who is, please share this newsletter and my contact info with them. If you’ve been waiting for the perfect time to be your own boss, 2015 is it! Stop waiting and start doing.2015 promises to be a great year for the franchise industry. For thefifth year in a row, franchise businesses are expected to grow and create more jobs at a faster pace than the rest of the economy. (Read the International Franchise Association’s (IFA) Franchise Business Outlook for 2015.) What are you waiting for? We rang in the New Year with increased optimism overall on the economy. The stock market is at an all-time high, the unemployment rate continues to decline and gas is cheaper than we’ve seen in years. With consumer confidence high and the economy at its best in years, now is the time to realize your entrepreneurship dreams! With over 3,000 franchises available, there are many options to choose from based on your skills, lifestyle goals and financial situation. Whether you plan on keeping your day job or want to own and operate the business full-time, franchising could be a good fit for you. If you’re currently employed and wish to keep your job, it’s certainly possible to remain employed AND grow a potentially lucrative business on the side. Read about how you can do this in my blog for Entrepreneur magazine online. If you’re like many of the transitioning professionals I work with, you might be fed up with the corporate world and ready to strike out on your own. A brick and mortar business might be better suited for you. Whatever your goals, I can help you find the right business for you! Let 2015 be the year you realize your dreams of owning a business. It’s April in Augusta, and there is a tangible vibration people feel from all the excitement anticipating the Masters Golf Tournament. Whether you play golf or not, you have heard of this revered tournament. Sports writers agree that it is the most prestigious sporting event in the world. After talking with my brother, Bernard Doris, yesterday about the upcoming tournament, it occurred to me that I am a caddy when it comes to helping people invest in a franchised business, either as a second career or as an investment diversification strategy. As you watch the Masters or any professional golfing event, do you notice how the player and caddy consult with each other? The players carefully handpick their caddies for these weighty career performances. The relationship between caddy and player is of tremendous importance in how the team performs. The role of the caddy is to do four main things. First, the caddy is to know the course expertly. Second, the caddy gives advice on shots and club selection based on how the golfer plays the game and how the course is laid out. Third, a caddy helps the golfer do what is typically the hardest thing to do – read the greens accurately. An experienced caddy is invaluable at giving advice on line and speed when it’s time to putt. Fourth, good caddies are mental coaches. Like all sports, golf is a mental game and keeping a positive attitude is just as important, if not more so, than any other crucial factor affecting the final score. When playing a golf course for the first time, an experienced caddy is quite valuable. Don’t you want to avoid the hazards, stay on course and play better overall than you would have on your own?The same analogy applies for newcomers to franchising. At Franchise Locators, our sweet spot is guiding professionals from the corporate world and the sports world into franchise business ownership. Whether you desire a second career or another revenue stream, take charge and master your destiny. You, too, can ace entrepreneurship. Are you ready to tee up? Contact us today at (706) 736-0579. The International Franchise Association Convention theme of Connect-Innovate-Evolve encompassed the hot topic of applying rapidly changing technology into franchised businesses. An area of focus I found particularly interesting was how potential buyers gather information about franchises. It’s no surprise that franchise buyers gather information from and do more research online and on their smartphones than ever before. An important point to emphasize is that the availability of information online is naturally not all someone needs to decide which, if any, business is right for them. That approach is a bit like reading 27 resumes and then deciding who to partner with in a business venture involving a six figure total investment. Obviously the franchise discovery process involves more than just fact gathering, and that’s where our entrepreneurship consulting services are helpful to people in career transition. The highlight of the IFA Convention for me was receiving the Certified Franchise Executive (CFE) designation. Globally just over 1,000 people have this. Following the CFE pinning ceremony, the League of Nations of Franchises was recognized. It was a special moment to witness the 49 different countries recognized on stage (be sure to watch this month’s video). American franchises are in tremendous demand globally! If you are ready to have your own business right here in your own backyard, pick up the phone and call me to get started. Now that it’s February, Valentine’s Day will soon be upon us. This is a great time to consider your passion when it comes to your work. Passion is a powerful force in helping you accomplish your personal, professional and financial goals and, ultimately, is the motivating factor behind your success and happiness. My passion is helping corporate refugees and retiring athletes find the right business for them, and I truly love what I do as an advisor and consultant. Entrepreneurs are passionate people, and let’s explore what they’re passionate about. When it comes to franchising, many people make the mistake of selecting a franchise that has to do with a hobby they love, like sports or cooking. Being passionate about the product or service is not vital to your success as a franchise business owner. What is important is your passion, your desire, your drive to be your own boss and live the lifestyle that entrepreneurship can afford — freedom, flexibility, and time with loved ones. I’ve been reading The Entrepreneur Roller Coaster by Darren Hardy, the publisher of Success Magazine. According to Hardy, there are four different passions, any one of which can drive the success of business owners. Although there are people who have a passion for the product or service their business sells, Hardy has the reader consider three other equally important passions that can fuel the success of an entrepreneur: passion for why you do what you do, how you do those things, and for whom you do them. So, as you see, you certainly don’t have to be passionate about what the business sells. You do need to be passionate about wanting to be your own boss. Hardy explains that passion is like electricity. It’s always running, but you have to flip the switch to turn it on. Which passion switch are you ready to turn on?